Chelsea and Liverpool face second-tier oppositions with Chelsea visiting Derby County on Tuesday and Liverpool travelling to Championship leaders Bournemouth on Wednesday in the Quarter-Finals of the Capital One Cup. Tottenham Hotspurs and Newcastle United go head to head and Southampton face League One side Sheffield United in the other two fixtures. Premier League leaders Chelsea face Championship high-flyers Derby County at the iPro Stadium on Tuesday with a place in the semi-finals of the League Cup up for grabs. Derby have beaten Carlisle United , Charlton Athletic , Reading and Fulham to book their spot in the final eight. Derby currently sit third in the Championship with a point below Bournemouth and second-place Middlesbrough. Derby defender Ryan Shotton is suspended for the visit of Chelsea after his red card in Saturday’s defeat against Middlesbrough. Chelsea manager Jose Mourinho has said that he will rest Gary Cahill for this match and will play Kurt Zouma. Midfielder Cesc Fabregas is available again after suspension and Keeper Petr Cech is set to play in place of Thibaut Courtois who missed Saturday’s win over Hull with a muscular injury. There could also be starts for Mohamed Salah and Andre Schurrle in this fixture. Derby have only lost once at home all season. Chelsea are unbeaten in their last eight matches with Derby (W7, D1), with an aggregate score of 25-4. Southampton face League One side Sheffield United in the quarter-finals of the League Cup on Tuesday. Sheffield United have beaten Mansfield Town, West ham United , Leyton Orient and MK Dons to book their spot in the quarter-finals. They come up against a Southampton side seemingly stuck in a rut – after their flying start to the season. 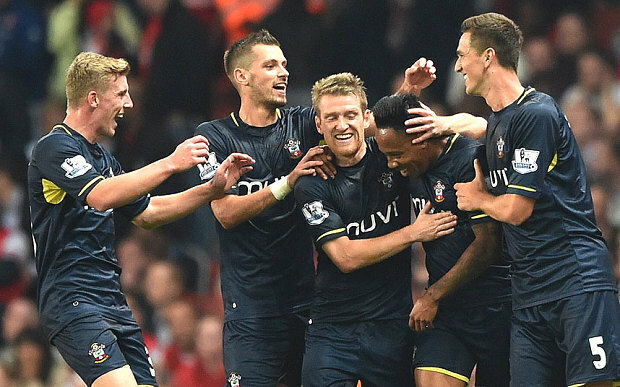 Southampton enter the match on the back off four straight defeats. This will be the first meeting between Sheffield United and Southampton in the League Cup. Southampton have reached the quarter-finals of the League Cup for the first time since 2003-04. Southampton will miss top scorer Graziano Pelle in this match through suspension, while Morgan Schneiderlin is doubtful, but James Ward-Prowse is ready to return to the XI. Two Premier League sides Tottenham Hotspur and Newcastle United go head to head in the League Cup quarter-finals on Wednesday at the White Hart Lane. The teams have already met this season with Newcastle fighting back to earn a 2-1 win at Spurs in the league two months ago. Tottenham reached the Quarter fianls of the League Cup with a 2-0 triumph over Brighton & Hove Albion, while Newcastle saw off defending champions Manchester City 2-0. Spurs are likely to rest a number of key players for the match ahead of a busy festive schedule in the Premier League. Gabriel Obertan and Ryan Taylor are among those who are unavailable for the Magpies. Jak Alnwick could continue in goal for Newcastle as Tim Krul remains injured. 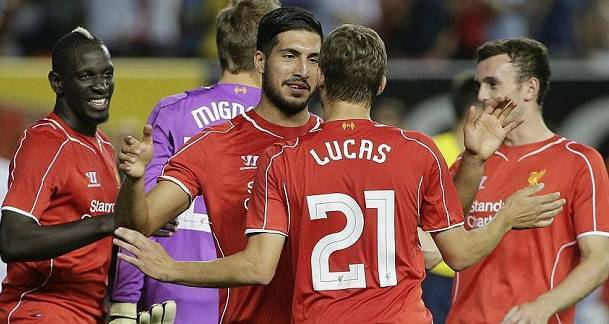 Liverpool face Championship Leaders Bournemouth in the quarter-finals of the League Cup. Liverpool crashed to a 3-0 defeat at arch rivals Manchester United in the Premier league on Sunday after being knocked out of the UEFA Champions League by Basel five days earlier. Liverpool booked their place in the last eight of the League Cup back in October with a dramatic 2-1 victory at home to Swansea City. They are up against a Bournemouth side who sit at the top of the Championship standings thanks to an 11-game unbeaten run that has included eight victories. Bournemouth will be appearing in the League Cup quarterfinals for the first time in their history. Goalkeeper Brad Jones is set to continue in goal for Liverpool after starting in place of Simon Mignolet in their defeat to Manchester United. Callum Wilson is expected to be in attack for the hosts who could also recall Ian Harte.